EghtesadOnline: Around 2.94 million tons of agricultural and food products worth more than $2.63 billion were exported from Iran during the first five months of the current Iranian year (March 21-Aug. 22), to register a 27.2% growth in value compared with the same period of last year. The growth shows an all-time high, according to a new report released by the National Agriculture and Water Strategic Research Center, which draws on data provided by the Islamic Republic of Iran Customs Administration. Agrifood exports accounted for 6.4% and 13.6% of the total volume and value of Iran's non-oil exports over the period (46.29 million tons worth $19.31 billion) respectively, the news portal of Iran Chamber of Commerce, Industries, Mines and Agriculture reported. The exports mainly included fruits worth around $496 million, vegetables worth $462 million, saffron worth $118 million and fish worth $104 million, accounting for 18.8%, 17.5%, 4.5% and 3.9% of the total value of agrifood exports respectively, Financial Tribune reported. Iraq, Afghanistan, the UAE, Pakistan, Russia, Turkey, India, Germany, Turkmenistan and Oman were the biggest export destinations in a descending order, as around 81.4% of agrifood exports went to these eight countries. 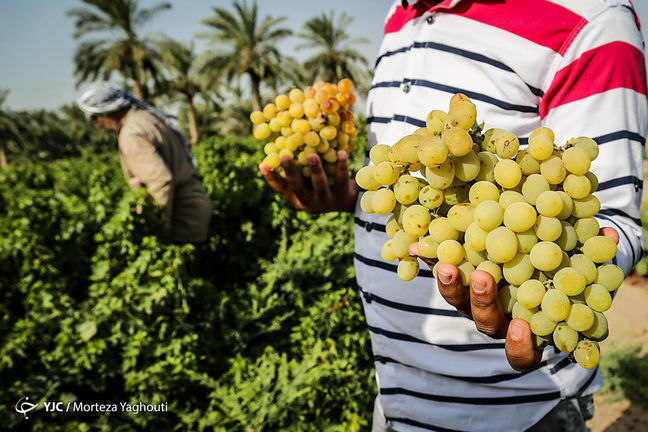 Iraq alone purchased 40.3% of Iran’s agricultural and food products during the five-month period. Each ton of agrifood exports was valued at $896 on average while each ton of non-oil exports over the period was priced at an average of $417. Imports of agrifood products during the same period under review stood at more than 8.23 million tons valued at around $4.53 billion, which shows a 7.1% decrease in value compared with the corresponding period of the preceding year. This accounted for 59% and 24% of the total volume and value of Iran’s total non-oil imports during March-August 2018 (13.96 million tons worth $18.89 billion) respectively. The main imported agrifood products included rice ($865 million), corn ($824 million), soybeans ($595 million), vegetable oils ($360 million), red meat ($307 million), different types of fruit ($221 million), barley ($198 million) and different oilseed meals ($195million), accounting for 19.1%, 18.2%, 13.1%, 7.9%, 6.8%, 4.9%, 4.4% and 4.3% of all agrifood imports during the three months respectively. The biggest exporters to Iran were India ($799 million), Switzerland ($572 million), the UAE ($369 million), Singapore ($368 million) the UK ($349 million), the Netherlands ($269million), Brazil ($214 million), Turkey ($170 million), Russia ($158 million) and Pakistan ($151 million). The above-mentioned countries accounted for nearly 75.3% of Iran's agrifood imports. Each ton of agrifood imports was valued at around $550 while each ton of imported non-oil products over the same period averaged at $1,353. The above data show Iran recorded an agrifood trade deficit of more than $1.89 billion in the five-month period, which shows a 32.4% improvement year-on-year.